Amid the grim backdrop of Canada’s hurting energy industry, a report released on April 13 revealed that Calgary has reached the highest vacancy rate in its commercial spaces in 33 years. 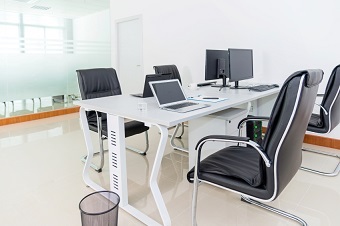 The latest CBRE Canada report noted that as of the first quarter of this year, approximately 20.2 per cent of office spaces in the city’s downtown are unoccupied. This figure is nearly double the volume of empty commercial units during Q1 2015 (11.8 per cent). According to the report, the bloated vacancy rate came in the wake of sudden mass layoffs and streamlining in oil companies, which have traditionally served as the bedrock of Calgary’s economy. CBRE officials said that the light at the end of Calgary’s tunnel remains to be seen, as the vacancy rate is projected to exceed the 22 per cent record set way back in 1983. “It's going to get a little bit worse before it gets better. Unless oil jumps back to $80 a barrel, I don't think we'll go down to the teens,” CBRE regional managing director Greg Kwong told The Canadian Press. “It was amazing how robust the market was in November 2014, and literally within four or five months it was amazing how ugly it got here,” Kwong said. The CBRE report added that high-end “class A” office space in the city now costs $20.97 per square foot on average, a far cry from the $29.23 per square foot value a year ago.